“All religions are one,” said poet William Blake. He was echoing what many people think. They assume that all the religions of the world believe mostly the same things. For example, they all want their followers to be better people, and they all want to improve the world that we all live in. Different religions do use different names for the ultimate deity. Christians call Him God; Muslims call Him Allah; and the Hindus call Him Brahman. But aren’t they all just using different names for the same reality? You might be surprised to know that many similar things are taught about Jesus Christ and Buddha. Both were said to have been conceived by a miracle. Both of them opposed the religious rulers of their day. Both of them were reported to have performed miracles. Both were said to have been tempted by Satan, and both had followers who traveled with them. Also, both of them taught us to treat others the way we would want to be treated–which has come to be known as the Golden Rule. With all the ways that different religions are the same, you may be wondering why I chose to follow Jesus Christ. Some may even feel that choice isn’t a significant one. They would say that if I have found a religion that works for me, then that makes it true for me, and that is all that matters. Is that really true? Let me show you why Christianity is essentially better and how it is powerfully different from all other religions. Please don’t be offended, and please keep reading. If I’m right, nothing could be more important to you. Jesus boldly claimed to be the ONLY way we can spend eternity in heaven: “I am the way, and the truth, and the life; no one comes to the Father but through Me” (John 14:6). The event that dramatically sets Jesus Christ apart from all other religious leaders is His resurrection. If Jesus raised Himself from the dead as He predicted, there is then no question that His claims are real and that all other paths to God are false. Notice that no other religion in the history of the world even dares to claim that their leader died and rose to life again. Just because some people say that Jesus was raised from the dead doesn’t prove that it actually happened. 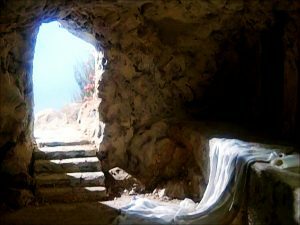 There are, however, powerful reasons proving that Christ’s resurrection must be real. Let me briefly show you a few of them. The first disciples of Jesus said that they saw Him alive and healthy after His crucifixion. Not only did the eleven disciples see Him, but He also appeared to more than 500 followers over a period of over 40 days. During that time some touched Him, and others even ate meals with Him. “Ah,” you might say, “but all of that information comes from the Bible. How can I know that the Bible is telling the truth?” I’m glad you asked. There are only three possibilities to explain why the followers of Jesus claimed that He is now alive. Either they were lying, or they only imagined that He was alive, or their story was true and they really saw the risen Christ. It doesn’t make sense that they would have been lying because many of them were eventually put to death because of their claims. It is completely unlikely that they would have all been willing to die painful deaths for something they knew wasn’t true. It also makes no sense that they just imagined that Jesus was alive. Individuals may well be confused about what is real and what is not, but there is no way that hundreds of people would have had the exact same delusion. Mark’s biography of Jesus in the New Testament is the earliest account of Jesus’ life, death, and resurrection. It has been shown that it was written within 7 years of the Resurrection. If the story of Jesus’ life wasn’t true, there would have been hundreds (maybe thousands) of people who would have publicly ridiculed what Mark wrote as being false. That didn’t happen. Jesus Christ is risen! Since He raised Himself from the dead, we have no room to question anything He taught. That truth enables us to read the Bible with renewed confidence. Here is the bottom line. Since Jesus is all that He says He is, what are you going to do with Jesus? This Easter season would be a good time for you to give your life to the risen Christ.